This morning I decided to switch up my running days (we have a training calendar that we follow)…usually we do Tuesday 4-5 miles, Wednesday 7-8 miles, and Thursday 5 miles. I do not really like running three days in a row during the week because my knees do not like me if I do that. So I ran my 8 this morning (plus we have off school on Wednesday and I want to sleep in and enjoy my day off:). I have been taking my iPad down to the apartment gym and watching episodes of “How I Met Your Mother” on Netflix. It is seriously AWESOME! I know it would be better for me to run outside, but when you feel you need to change-up your running routine in order to survive and not hate running forever you do what you can. 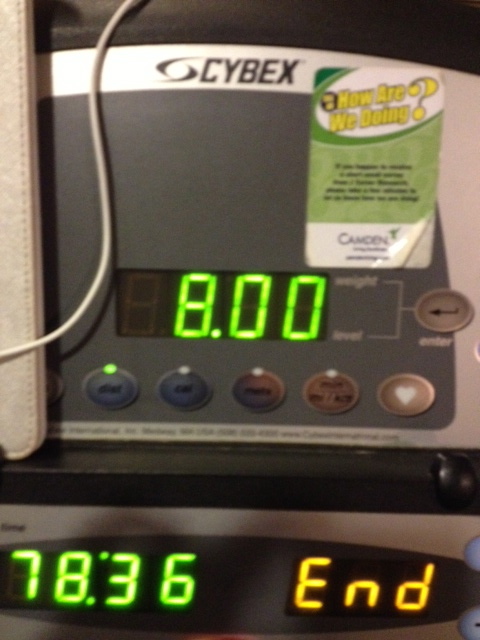 (next week I will probably be cursing that treadmill and my iPad). I was happy to see that glorious word “End”. RR and I kinda like bananas. 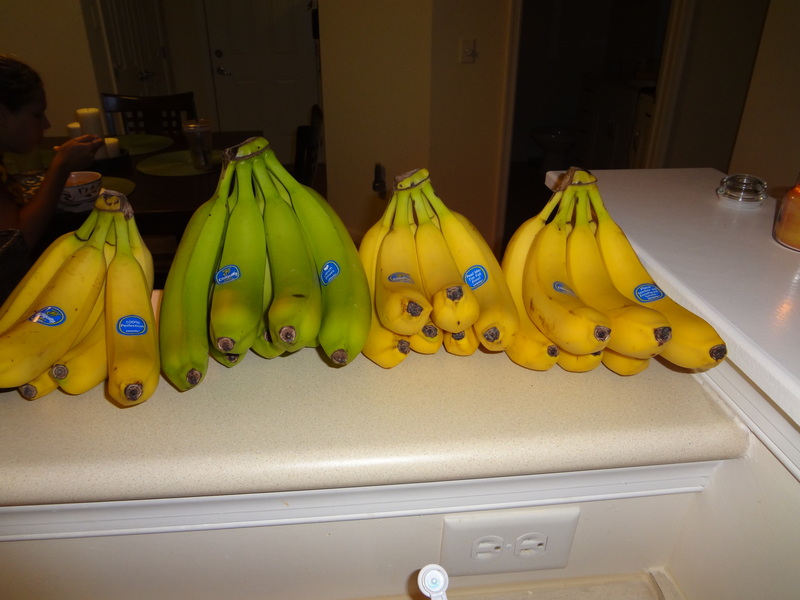 We have discovered that one bunch of bananas per runner per week is just not enough for the amount of bowls of oatmeal, smoothies, yogurt, pre-run/post run snacks!! This morning I decided I needed some eggs to get me goin’. 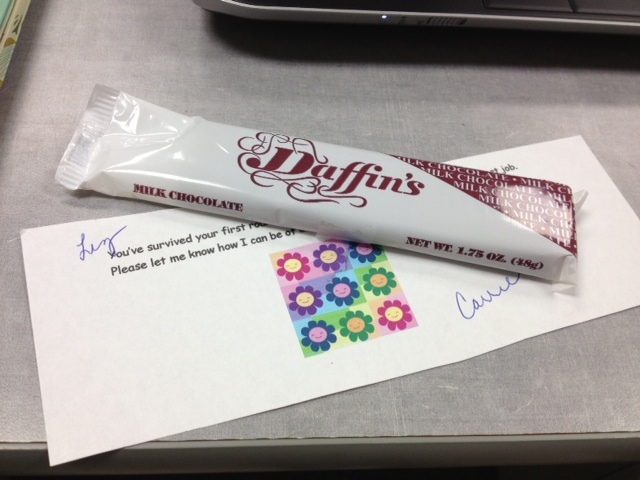 I was going to go for my usual smoothie or oatmeal, but it was Monday and those meals can get boring. 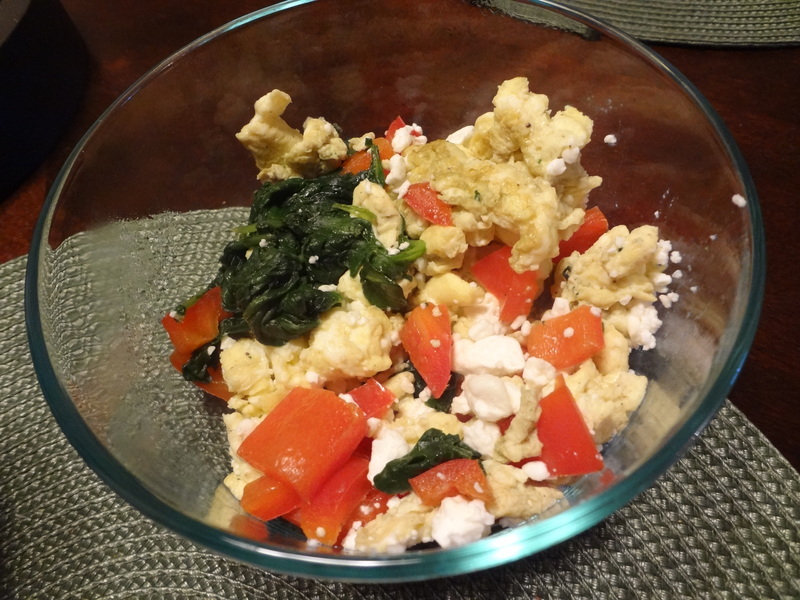 I sautéed half a red pepper and that leftover spinach (was a little wet and yuck but good for egg scramble!) I then scrambled up 1 whole egg and 2 egg whites and mixed it all together in a fry pan. I added some feta cheese to the top which made it Greek (right??). 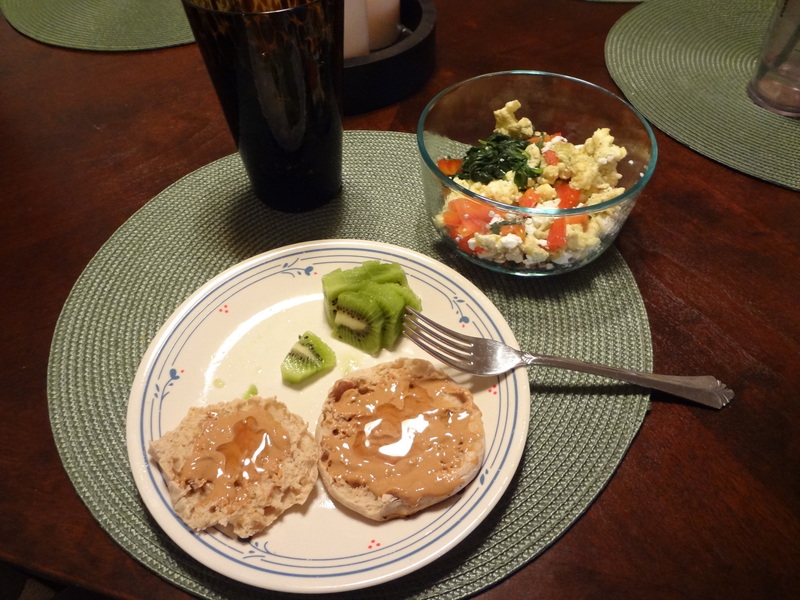 I also had a Light English Muffin with a little bit of Peanut Butter and Honey…also threw in a kiwi to add my “something sweet” to make the meal a great breakfast! Was very full from this one. I decided I am going to try and post one good thing that happened either at work or in my day to help remind me that my life is pretty freakin’ awesome! 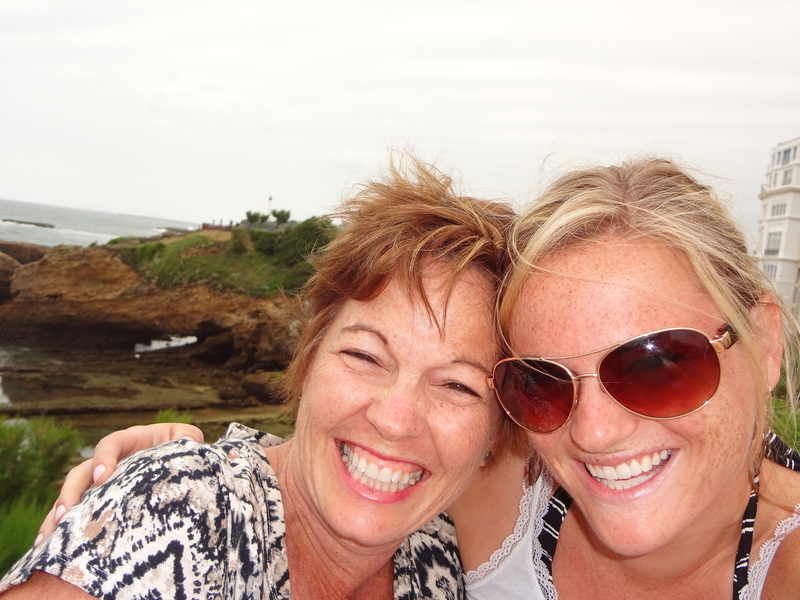 Wednesday I have off and my mom is coming to visit! Do you do any cool tricks with eggs you want to share? ?